BAL have made a successful return to the Surface Design Show in London to offer a preview of the new Gutjahr range to architects, designers and specifiers. The exhibition, which was held from 9-11 February at the Business Design Centre in Islington, attracted more than 6,000 industry professional and trade visitors to compare and specify the latest products in internal and external surfacing and architectural design. 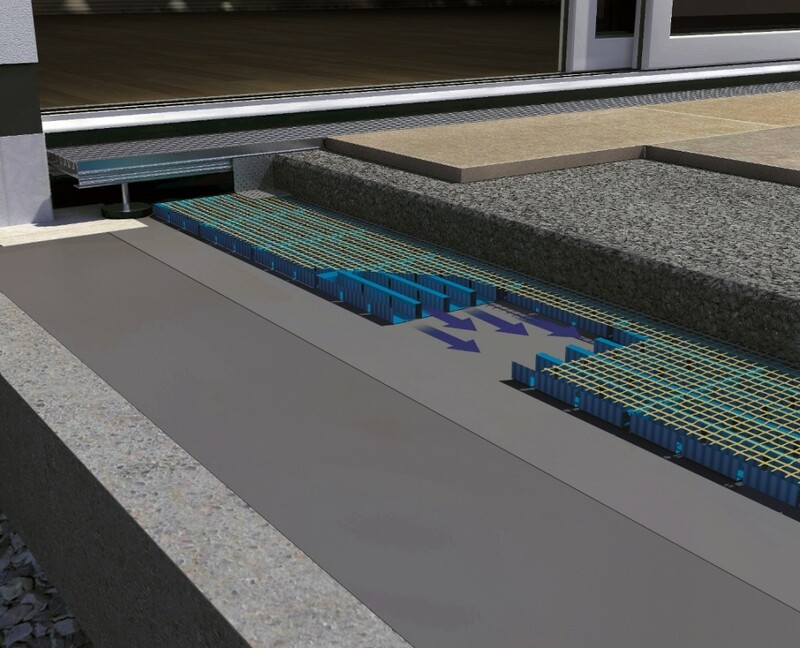 Launching to the market this Spring, the Gutjahr system technology from BAL specialises in drainage, ventilating and uncoupling solutions for balconies, patios, terraces and on facades and interiors. For more than 25 years, BAL’s sister company Gutjahr have developed long-lasting trouble-free covering even on problem substrates throughout Europe for prestigious projects including Amsterdam Library, The Palace of Hambach, the Frankfurt Airrail Centre and the Weimar National Theatre. Alex Underwood, Head of Marketing at BAL, said: “The Surface Design Show is one of the premier specification events in the UK to showcase products and services, so we were delighted to return with our new innovation which was positively received by visitors to the stand. As well as introducing Gutjahr at the show, the team at BAL also highlighted some of the firm’s unique business tools for specifiers and architects including its free M40/M20 specification writing service, RIBA-accredited CPDs, and unique Sample Testing Service for new materials and backgrounds for use in tiling installations. For more information on Gutjahr System Technology exclusively from BAL, please speak to a member of the BAL Specification Support Team on 01782 591120.